Salman Khan's Dabangg Producer/Actor Arbaaz Khan thrashed the reports of media stating that Dabangg 2 will start its shoot in the next year and clarified that his younger bother Sohail Khan will not be the part of Dabangg sequel. Arbaaz Khan who irked few news magazines stated as “Dabangg sequel starts mid next year and doesn't have my brother Sohail acting in it like some newspaper reported”. 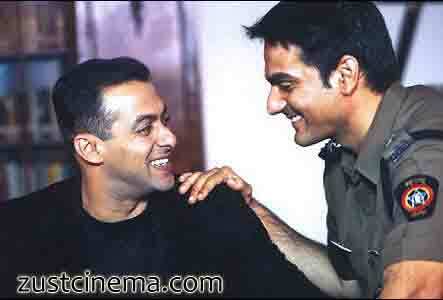 Arbaaz Khan further adding said Salman is completing BODYGUARD now. Then he starts a yashraj film Ek THA TIGER after that Sohail's film and then mid next year DABANGG 2”. The makers in the plans to start the sequel to Dabangg where the first part ended.Salman Khan and Sonakshi Sinha to cast for Dabangg 2 and Arbaaz Khan is in plans to make Chulbul Pandey to enter in to city to fight with set of goons there. So Guys keep Ur Popcorn for Dabangg 2 too.